People are becoming increasingly concerned about the number of miles between soil and plate, the pesticides on their produce and the hormones in their meat. The migration from rural environments to urban municipalities has disconnected people from their food. Our grocery stores are filled with exotic foreign fruits and vegetables, highly-processed carbohydrates and meat from “super farms.” Recently, there has been a shift in thinking towards responsible eating and organic food. People are becoming increasingly concerned about the number of miles between soil and plate, the pesticides on their produce and the hormones in their meat. Movies like Food Inc. and books like Omnivore’s Dilemma by Michael Pollan and the 100 Mile Diet by Alisa Smith and J.B. McKinnon have helped reinforce the fact that it is important to be connected your food and its origin. Wild meat is natural, organic and contains no steroids, artificial colours, synthetic hormones or other chemicals. Wild meat it is also lower in fat and higher in protein than commercial domestic meats. Wildlife growing in its natural habitats, feeding on wild forage and drinking the cleanest water results in healthier animals and healthier food. You are what you eat! How an animal lives and how it dies matters. Hunters believe in taking responsibility for the life that must end to nourish theirs. Responsible hunters have a profound love for wildlife and their habitat, and diligently adhere to the tenets of fair chase. They practice their art to ensure their harvest is as humane as possible. Hunting in British Columbia is closely monitored by the government to ensure sustainability. 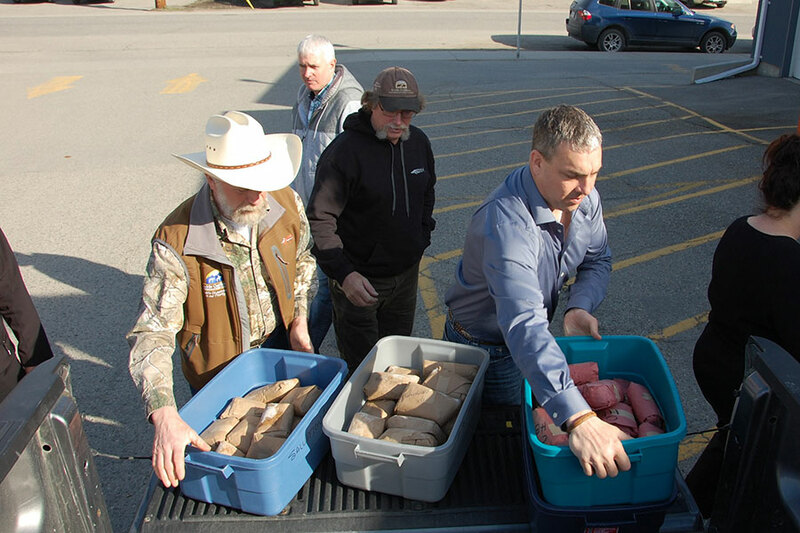 The meat donation program began in 1993 as it is important to GOABC and our members to support those in need across British Columbia by providing high-quality protein. In addition to receiving many private donations, our guide outfitter members ask their out-of-province hunters to consider leaving at least 10% of their harvested meat behind. Various amounts and types of game meat come available throughout the year and is shared within the region from which it has been harvested – unless a much greater need comes apparent elsewhere in the province, as often happens during wildfire season. 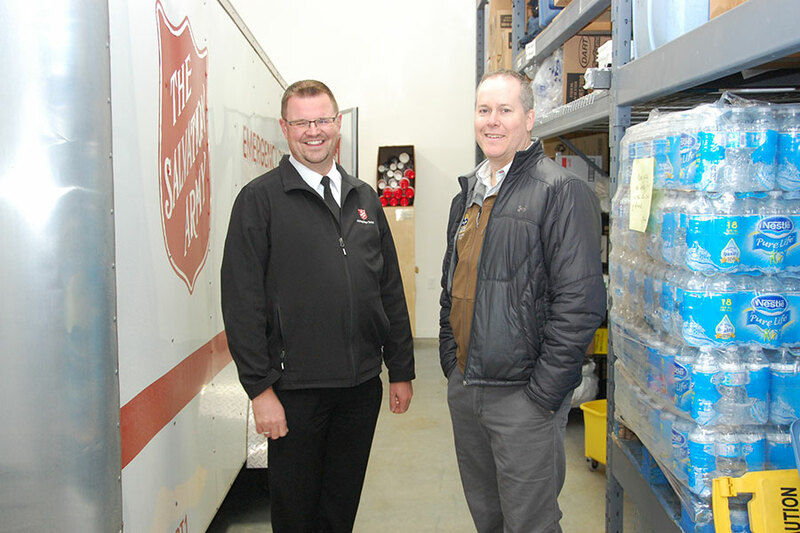 With a network of butchers on board to offer their services at a reduced rate, meat is then distributed via various Salvation Army and food bank locations across the province. All meat is processed by an approved meat cutter in the area from which it originates and is then supplied to our distribution network in one-pound ground packages. Our goal is to see many more hunters, both BC resident and non-resident, participating in the program. 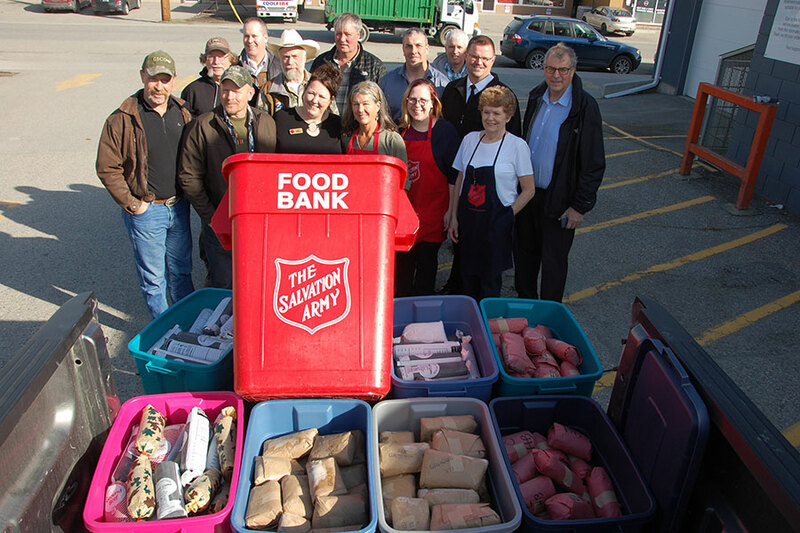 We believe that there is much more meat that could be directed to the people in BC who need it most. We estimate that the program has delivered more than 425,000 pounds of organic, free-range meat to families in need and local charities throughout British Columbia. And we’re just getting started!